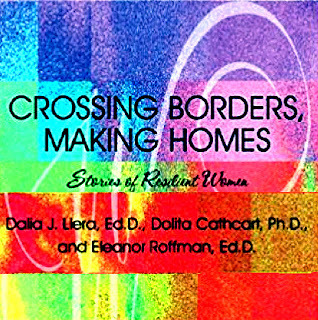 Boston OLOC (Old Lesbians Organizing For Change) will be presenting “Shapes & Shifts in Identity” with psychologist Eleanor Roffman PhD & Wheaton College Associate Professor of History Dolita Cathcar PhD on Sunday October 1st from 2P to 4P at the Brookline Senior Center at 93 Winchester Street in Brookline, MA. 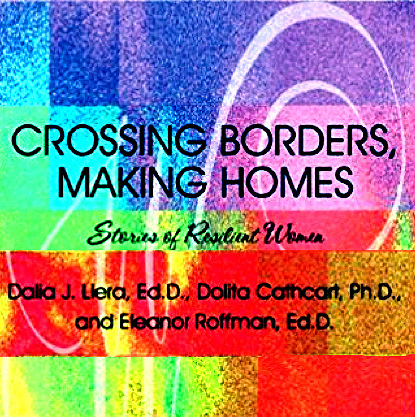 This is a fabulous opportunity to explore this trending issue with the contributing authors of Dalia J. Llera’s timely book “Crossing Borders, Making Homes: Stories of Resilient Women”. “Shapes & Shifts in Identity” is an interactive program addressing identities including race, ethnicity, class, religious, political, sexual orientation & age. Exploring our identity transformations from early childhood to adolescence, young adulthood & beyond including our multiple identities. How & when identities change & become who we are now & what identities bring about the most oppression. Alice Fisher & Sarah Pearlman Founding Members of OLOC-Boston stated, “Each one of us has many identities. Some announce us to the world like gender or age. Others such as class or sexual orientation can remain hidden. So let’s see what surprises you in this workshop.” OLOC Boston programs & events are open to lesbians of all ages, including transgender lesbians. OLOC’s mission includes their commitment to creating communities of older lesbians & solidarity with allies for racial, economic & social justice. Following the event there will be an early dinner at Sichuan Garden, 295 Washington Street in Brookline, MA.